This is a new, range-topping version of the KTM Adventure range that will get the 1301cc V-twin from the Superduke R, a larger fuel tank and even more sophisticated electronics so it can sit above the current 1190 model. MCN brought spy shots of this bike in much rougher prototype from a few months ago but this finished bike leaked out last week while it was out in public having publicity images photographed. 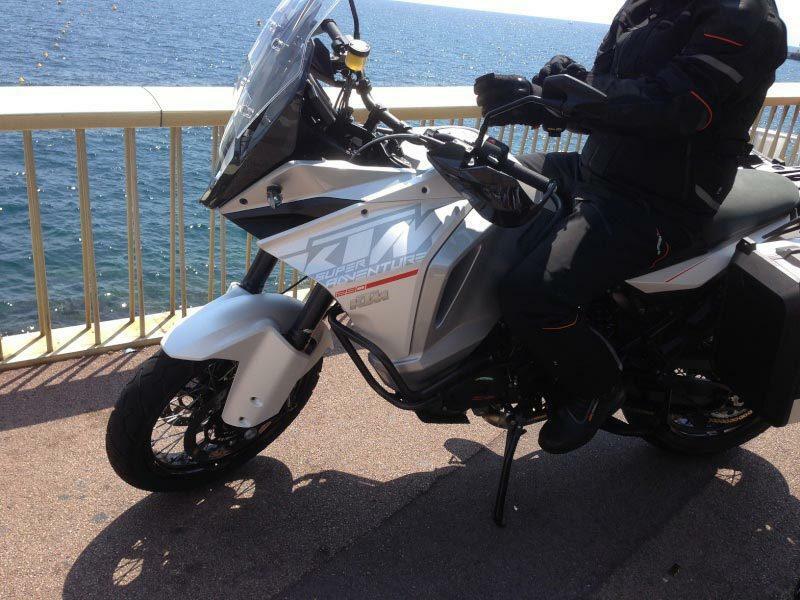 An official KTM statement said: “KTM can confirm the sightings of a new bike are accurate and that for model year 2015 a ‘1290 Super Adventure’ will become available. A high-end motorcycle that will roll with the typical sporty KTM approach into the sport-touring and luxury travelling segment. Full details will follow at the Cologne motorcycle show in October.